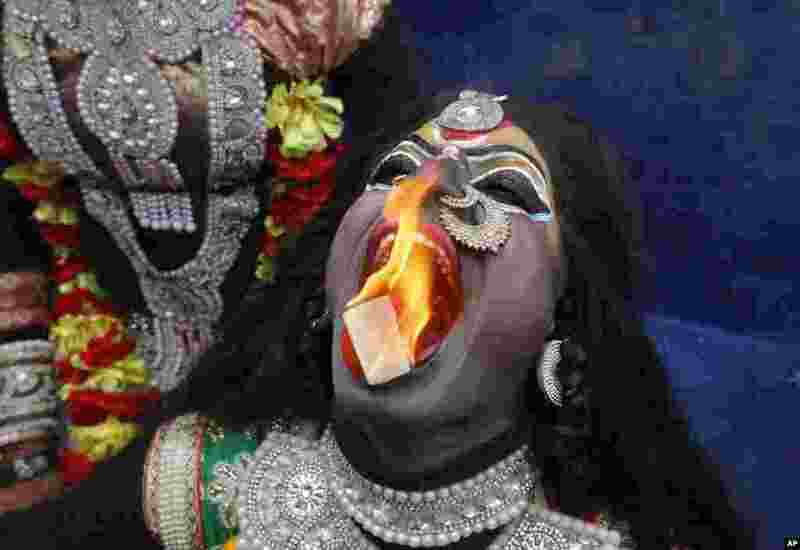 1 An Indian man dressed as Hindu goddess Kali performs a fire act during a procession to mark Mahashivratri festival in Allahabad. 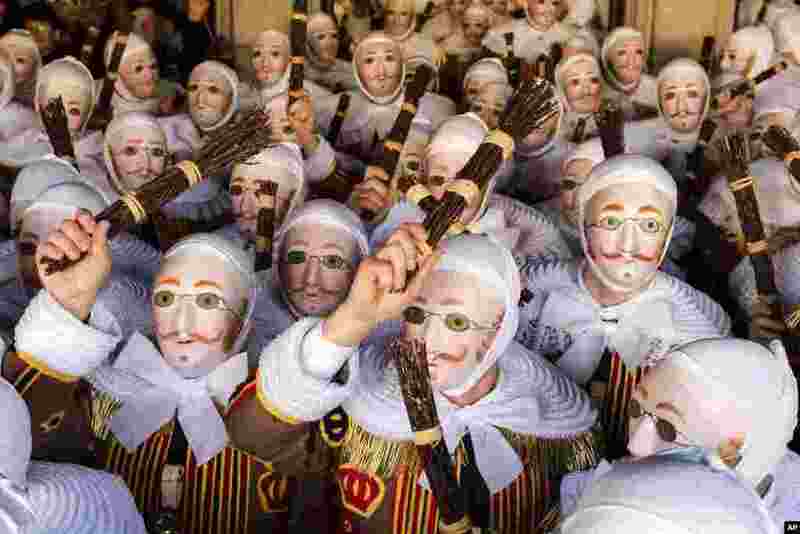 2 A group of people dressed as 'Gilles of Binche', arrive to pick up their jubilee medals at the City Hall on the Grand Place, during the Carnival of Binche, in Binche, Belgium. Up to 1,000 clown-like performers known as Gilles, appear in the city center, wearing a hat covered with ostrich feathers and a red, yellow and black medieval costume decorated with bells and with lace at the neck, wrists and ankles. 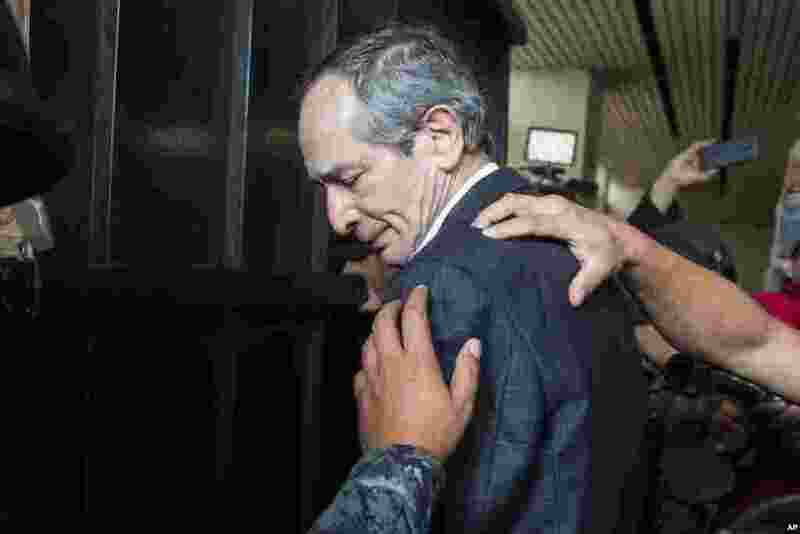 3 Police officers pat down former Guatemalan President Alvaro Colom before escorting him into a courthouse in Guatemala City. Colom, who governed from 2008 to 2012, has been detained in a corruption case according to special prosecutor Juan Francisco Sandoval. 4 Chinese Dancers perform during an event celebrating the Spring Festival to welcome the Lunar New Year of the Dog in Kolkata, India, Feb. 12, 2108.